I'm always looking for ways to understand people better. Adults and children, to some extent, live in different worlds. That means parents and their children need to actively seek to be involved in each other's world. Children do this automatically. They play "house", ask questions, say things like, "will you play with me?" Adults seem a bit less adept at this skill though. We get busy with work, paying bills, mowing the lawn, maintaining the house, and even shuttling children from one activity to another. Being active in our children's lives needs to be intentional if it's going to happen on a regular basis. And it needs to. Involvement by parents shapes the way a child sees the world. Work habits, playfulness, self-esteem and a host of character issues in a child's life are highly influenced by the adults modeling proper behavior. Sometimes, it just takes an adult being actively interested in a child's life to make a major difference. Education is one of those areas. Several studies demonstrate the importance of parents being actively involved in their child's education. I won't cite them all, but here are some of the things that have been demonstrated. When parents involve themselves in the education process at home, the children do better in school. High achievement in school is more dependent upon a culture of learning in the home than upon income level or educational level of the parents. When parents talk to their children about school, it sends a message that school is important. Children respond to this and generally do better academically. Children know when we are involved. They sense it -- they crave it. Most importantly, they respond positively to it. To quote an old ad slogan, "Just Do It!" First posts are somewhat awkward, aren't they? It helps to have a clear idea about what you want to say and why. To that end, I've been thinking recently about this profession I'm engaged in. I do a lot of different things during the course of a week. I usually spend part of the day planning the day. When you're self-employed that's definitely a good idea. However what I do is different all the time. Ultimately, it all ends in the performance of a show in front of an audience of excited people. Although that is the final, and very public, result, the day-to-day work in preparation for those "spectacles" is actually even more important. Take my most recent show that I'll be performing in elementary schools this year. Here's a sampling of what went into creating and perfecting it. September 2006 - I look into the theme being used in libraries for the 2007 summer reading programs -- "Get a Clue at Your Library". I begin brainstorming ideas for a new show based on this theme. November -- After much thought and discussion with trusted friends and compeers, I decide upon a detective character and a mystery. My goal -- promote reading. But I also know that geography is something that children are lacking knowledge in. So, a parallel goal is to promote geographical awareness through the show as well. December -- Continue researching state curriculum needs and grade level requirements. The educational portion is critical. At the same time, kids are going to have to be entertained as they learn. So a balance needs to be struck (no small task). February -- Script complete. 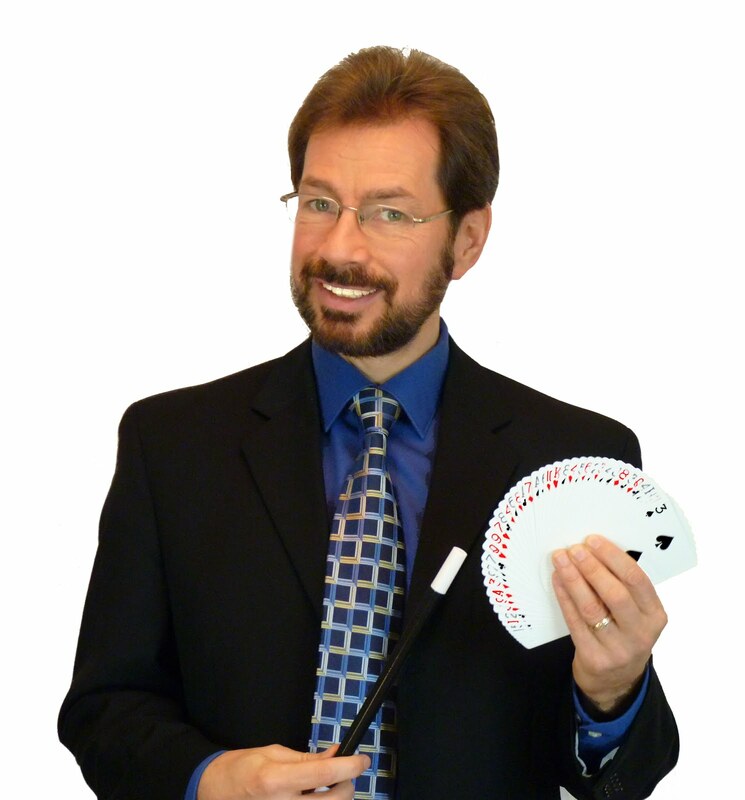 Since I blend magic, music, and ventriloquism into my shows, I now need to locate or build the various props I plan on using. Fire up the table saw. March -- Still marketing the show. Bookings are coming in. I'm getting excited about the content of the show. This is going to be a great year! May -- Well into practicing the show. I've found out what works, and what doesn't. Time to tweak the script and make other changes. Keep mailing and calling. I've now invested a good sum of money and countless hours into a show that I know is of value. June -- The testing is over. Finally, the show is on the road. The initial response is fantastic. However, I always follow up with the librarian to find out what they thought about the show. Each librarian receives a survey that they can answer and send back to me. And the feedback is confirming my effort. A few minor tweaks, and the show is working. Best of all, the kids are enjoying and learning from the show. Several tell me that it is the best show they've seen. While that encourages me, I can't let it go to my head. July and August -- Traveling all over two states performing this show for libraries. Of course I perform other types of shows too, so my weeks are pretty full. Paperwork is still there when I get home, so on "off" days that gets done. Plus the show is going to go into schools in the fall. So, I need to get that marketing ball rolling. September -- I've come full circle. Schools are still being contacted to let them know what I am offering. This will continue until the end of the year. In the meantime, next year's library theme is "Get Bugged." Hmmmm, what can I do with that for next year? Well. . . you know the process. I think I'm going to be busy this fall.